Another double win weekend for Mathieu van der Poel, all the results, reports and video from Koksijde and Wachtebeke. Conor Dunne has his wages paid - Top Story. A mixed bag of other cycling news: Van der Haar extends contract, Gaviria to San Juan, new finish for Het Nieuwsblad, Fortuneo-Samsic want Tour place, Giro Rosa to the Gavia, new Napoleon Games Cup, Freire for coach, Stamsnijder retires, Lotto Soudal training, Nippo first meeting, Polartec ends sponsorship, Sunweb '19 roster and the Tour of the Alps '19 route. A very full EUROTRASH Monday. The owner of the Aqua Blue Sport team, Rick Delaney, has promised to pay the wages of his rider, Conor Dunne at his hew team, the Israel Cycling Academy. British newspaper and website, Cycling Weekly received a letter addressed to Dunne's new team, which had been drawn up by Delaney. The Irish businessman confirmed: "Conor was the last rider to sign up for 2019, so I had an obligation to Conor that he would have something for 2019, so I will finance his salary for next year. This is how I am with all contractual agreements; I do exactly as I say. People read what they read and people obviously believe the bad things rather than the good ones. That's how life is, I cannot change that. The fact is that every rider who was under contract was paid for 2018. And every rider that was under contract for 2019 has either found something else or, as in the case of Conor, I support." 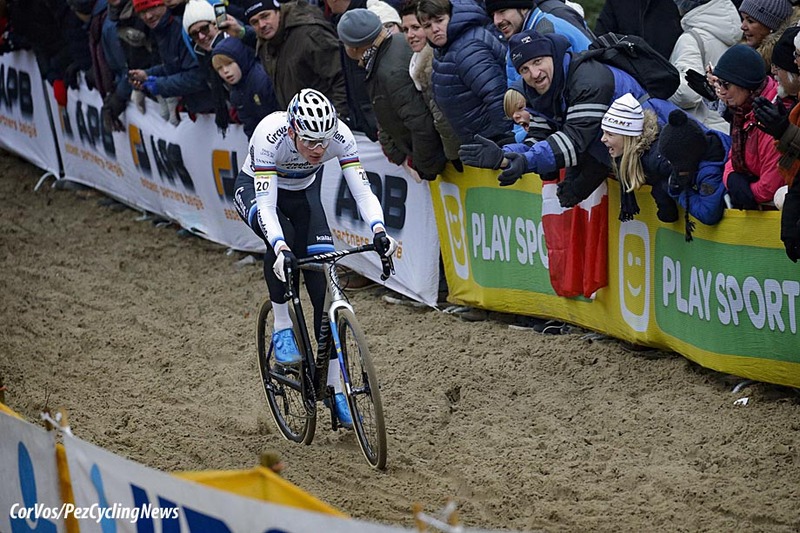 Mathieu van der Poel (Corendon-Circus) won the 5th round of the World Cup cyclo-cross on Sunday in Koksijde. The European champion was again in a different class than the others and won with a 30 second lead over World champion Wout van Aert (Cibel-Cebon). Toon Aerts (Telenet Fidea Lions) was third and retains his lead in the World Cup. Lars van der Haar (Telenet Fidea Lions) was the fastest off the start-line, he had not ridden in Wachtebeke on Saturday, but his effort didn't last long and before the first long sand section, Van der Poel was heading for the front. Van der Haar could only watch Van der Poel's rear wheel, and by half a lap Van der Haar was at 20 seconds and the rest followed a further 10 seconds down. World champion Wout van Aert was not having a good day. He made a few mistakes in the sand and also crashed, ending up in seventh position, nearly 40 seconds behind Van der Poel. The World champion persevered and within a few laps he was in second place. For a while it looked like Toon Aerts was going to give Van Aert trouble, but Van Aert was the stronger rider and by halfway he had a handful of seconds from his chasers, but 30 seconds down on Van der Poel. Van der Poel pushed on in his perfect style to take his 13th win of the 2018/19 season. The World champ came in at 25 seconds and Aerts at 48. Winner, Mathieu van der Poel (Corendon-Circus): "It was a long hour. Koksijde is the most difficult route to ride alone. Every time you get back to a strip of sand, all traces are gone and you have to make them yourself again. That is frustrating. That went much better during the warm-up, but after that the women ran over the course. I can of course go there [Spanish training camp] with a great feeling. I absolutely wanted to go full-gas for a full day today, so that I can go to Spain with peace of mind. I intend to do hard endurance training. That is necessary, because normally that is not really a focal point in the winter." 2nd, Wout van Aert (Cibel-Cebon): "Sad about that first lap, I was not really in the business. I missed the pedals at the start and was not so good. Then I made three or four mistakes in quick succession, and I also hit the ground. So I immediately fell behind Mathieu. I can look back on this weekend with a satisfied feeling. Yesterday I had a better feeling for the first time and today I confirmed with a good result. I can go to Spain with a good feeling, where I will do many long rides. This is necessary in order to get through the winter and of course to maintain the foundation with a view to spring. I always have a good training camp. Uphill you can put the right intensity in your training and I always respond well to that." 10. Kevin Pauwels (Bel) Marlux-Bingoal. 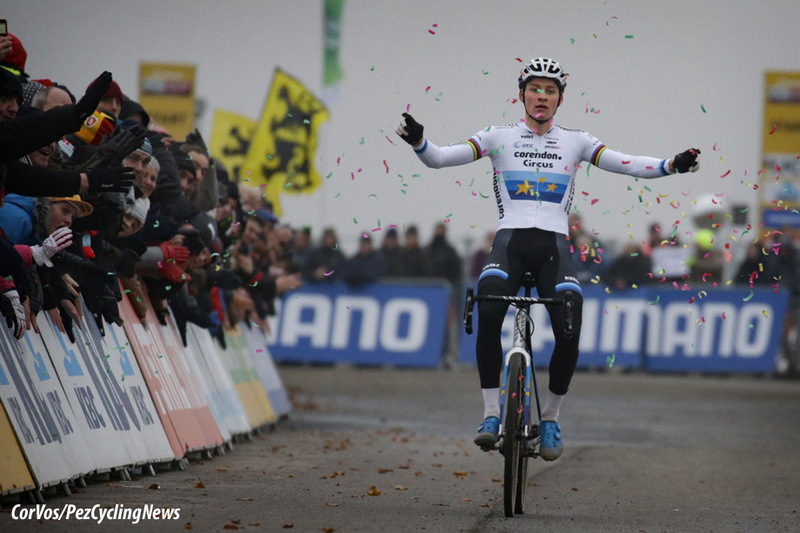 No surprise in Saturday's Ambiancecross in Wachtebeke as Mathieu van der Poel (Corendon-Circus) won yet again. The European champion rode everyone off his wheel despite crashing. Michael Vanthourenhout (Marlux-Bingoal) finished second at 9 seconds, 19 seconds ahead of World champion Wout van Aert (Cibel-Cebon). After about 10 minutes of racing, a leading group of over ten riders had split off the front. Van der Poel made a mistake at the jumps and crashed, but was not concerned by his fall and soon closed the gap to Vanthourenhout and Van Aert. Also Gianni Vermeersch (Steylaerts-777) and Eli Iserbyt (Marlux-Bingoal) caught them at the front. At the halfway point; Van der Poel decided it was time to go, Vanthourenhout tried hard to pull the European champion back as Van Aert fought back from a crash. The world champion got within 10 seconds, but that was the closest. Iserbyt and Vermeersch held the rainbow jersey for as long as they could. Van der Poel slowly rode away from Vanthourenhout, who did not want to give in, but in the end he had to let the European champion go. Van der Poel rode on for yet another win as Vanthourenhout managed to hold on to his 2nd position and Van Aert out-sprinted Iserbyt for the final podium place. Vermeersch cracked to finish 5th at 51 seconds. Race winner, Mathieu van der Poel (Corendon-Circus): "The course was extremely bad, making it very bumpy. It was therefore a difficult cross. Wout jumped in front of me, the bars took an awkwardly angle. However, it was a little slower than I had estimated, so I did not have time to correct. I also built in some caution afterwards, and only jumped when it was necessary." 3rd, Wout van Aert (Cibel-Cebon): "I still have to improve, so I'm working on the last percent. You always have to wash quickly after a cross to go to the podium. Only after ten minutes does it make no sense to cycle for a while. You have to ride for an hour to get your lactate out. You can do a lot in eight minutes. It is just science, and we are obviously working on it at the highest level. Still, I felt better than last week. Especially in the beginning there was strength. However, I was at my limit when Mathieu and Michael [Vanthourenhout] rode away. I lost contact altogether when I fell at the bars. From that moment on I had to concentrate on third place. However, I am satisfied with my feelings. I am looking forward to tomorrow." 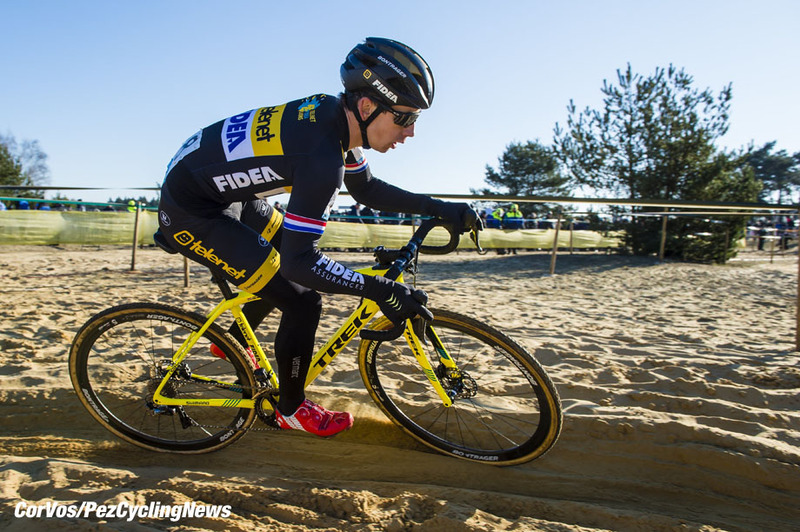 Lars van der Haar will race with the Telenet Fidea Lions team until the end of 2020. The 27-year-old Dutchman has been with the Belgian registered team since January 2017, under the manager Sven Nys. Van der Haar is happy with his contract extension. "As a rider, I feel completely at home with Telenet Fidea Lions. It is a nice and professional team, with a clear way of working that suits me. I am very happy that I can continue to work with the team and my teammates for longer." Sven Nys is also delighted. "It is nice that there is so much trust on both sides. Lars is a real team player, who has already proven and will continue to prove his position in the top 5 of the world in the coming years." Van der Haar has been doing well this season, winning two races: Brico Cross in Geraardsbergen and the Nacht van Woerden. He was also on the podium of the World Cup Cross in Tabor. Fernando Gaviria will appear in UAE Team Emirates kit in the Argentinian Vuelta a San Juan stage race in January. This will be Gaviria's 5th participation in a row and the 24-year-old Colombian sprinter will want to add to his seven stage wins, including a team time trial. In 2018 he crashed on the 4th stage and had to abandon. The 37th edition of the Vuelta a San Juan Internacional (2.1) will be held from 27 January to 3 February. This means that Gaviria will not be at the start of the Colombian championship, which will be held around 1 February in the department of Meta. Peter Sagan and Mark Cavendish will be on the start line in San Juan along with six WorldTour teams: UAE Team Emirates, Deceuninck - Quick-Step, Dimension Data and BORA-hansgrohe. Two more WorldTour teams are still to confirm their presence. Omloop Het Nieuwsblad is changing the finish line again. This year, 2018, the legendary finish of the Tour of Flanders in Meerbeke was used by the first spring classic of the season, but only after one year, the finish of the Omloop is moving to the center of Ninove, according to Sporza. The race organizers, Flanders Classics, gave the Omloop Het Nieuwsblad a facelift this year including a new finish location. The final of the semi-classic went on the same course as the old final of the Tour of Flanders, with the finish line on the Halsesteenweg in Meerbeke. In 2019 the new line will be drawn on the Onderwijslaan in Ninove on the first weekend of March. The finish is on the same spot where the line is drawn for the Ninove after Tour Criterium. 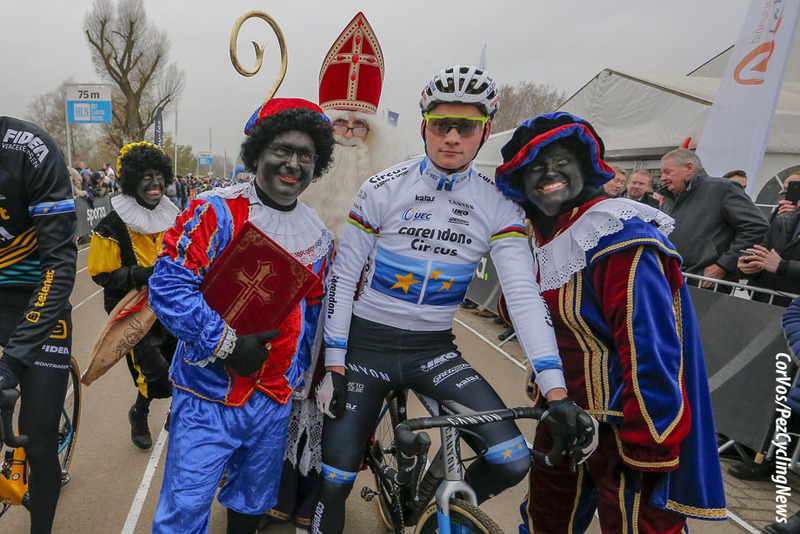 Flanders Classics hopes to improve the experience with the change. This year the victory in Omloop Het Nieuwsblad went to the Dane Michael Valgren, Christina Siggaard, also of Denmark, won the women's event. Fortuneo-Samsic hopes to ride the Tour de France again next year, despite a season that saw them win only twice in 2018: Stage 1 of Tour de Savoie Mont Blanc by Maxime Bouet and Pierre-Luc Perichon won La Poly Normande. Team manager Emmanuel Hubert spoke to French newspaper Ouest-France: "It will be difficult, but I believe in it." Adding: "That is why we have also attracted André Greipel. With André, we have brought in a hard worker who will inspire the riders. If we can win early in the season, it may be liberating, is arrival will ensure more success." The team had expected Warren Barguil to bring the successes in 2018 after two stage wins and the KOM classification in 2017. Cofidis, Vital Concept, Direct Energie, Wanty-Groupe Gobert and Euskadi-Murias all hope for an invitation. Hubert still hopes to receive an invite to cycling's biggest event: "I believe in it, but it will be difficult considering the competition. We really have to prove ourselves. However, with Greipel we have someone who has won eleven Tour stages. In addition, Warren is still one of the spearheads of French cycling." The Giro Rosa, also known as the Giro d'Italia Femminile, will have a stage finish on the Gavia Pass next year as reported by the Italian site, Tuttobiciweb. The Gavia Pass climbs to 2,600 meters altitude, one of the highest roads in Europe. They also report that there will be a team time trial. 2018 Giro winner, Annemiek van Vleuten reacted almost immediately to the news via Twitter: "Love this!" The Gavia is also included in the men's Giro d'Italia route on stage 16 with the finish in Ponte di Legno and will be the Cima Coppi, the highest point of the race. The climb of the Gavia became famous in 1988 when the race was hit by a blizzard. The Giro Rosa runs from the 5th to the 14th of July. The Napoleon Games Cycling Cup will be completely different in 2019, of the ten races that counted towards the overall trophy in 2018, six disappeared, the prize money has gone and the main sponsor Napoleon Games dropped out reported WielerFlits.nl. Bad news for organizer Nick Nuyens? "By no means. It is true that a number of organizers are no longer there, but they have their reasons. As far as the GP Le Samyn, the Eurométropole Tour and Binche-Chimay-Binche are concerned, we have no agreement with RTBF (French Belgian TV). Is there too little interest in Wallonia? I would think that the RTBF as a Walloon channel should have a range of races, whether they are in the Cup or not... Jean-Luc Vandenbroucke (organizer of two of the three Walloon races) would like to continue working with us, but I get it when he says that the presence of RTBF is important. Dwars door West-Vlaanderen will cease to exist, so obviously it can no longer be part of the Cup." The Heistse Pijl and the GP Jef Scherens also end. In Leuven they do not have a good word about the cooperation. Chairman Alain Sterckx talks about "an accumulation of three years of annoyance and an unprofessional approach." "As far as the departure of the Heistse Pijl is concerned, I do not have to give an explanation, I think" (the organizer is Jef Van Den Bosch, manager of Wout van Aert). "The GP Jef Scherens? I refuse to go along in a game of mud, but the understanding between the organizer, the City of Leuven and the Napoleon Games Cup was indeed not ideal. That applies to the three parties. A difference in vision is possible." Will the race series have ten races in 2019? The only new race is GP Monseré (Ypres-Roeselare) and there will be talks with the organizer of the Schaal Sels and the GP Van Steenbergen. "I can confirm the GP Monseré. What the other competitions will be, we will announce at the press presentation. In a positive way, because that is still the way we have to approach this initiative, I think. The Cup will be renamed next year, because Napoleon Games indeed stops as a name sponsor. We do have a successor. This will also be proposed later." A point of criticism from the riders: in the third year the final classification prize money suddenly disappeared. "Right. But that did not happen overnight. The first edition clearly stated in the regulations that the prize money had to be collected at an official ceremony. Logical, I think, because our sponsors want visibility. That ceremony was an important evening for them. It turned out that only LottoNL-Jumbo showed up. Out of good will we paid everyone back then, but when the second year nobody showed up again, we decided to award no prize money after internal consultation. Apparently that did not work." Oscar Freire for Spanish National Coach? 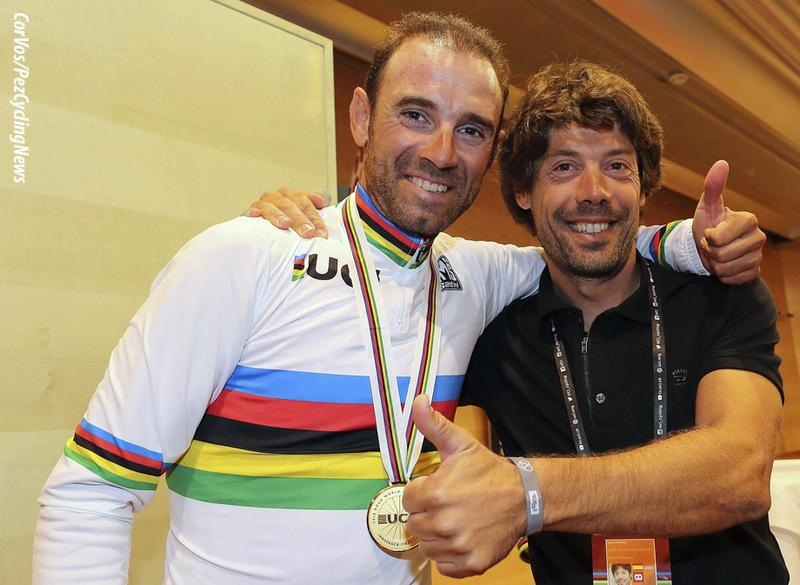 Last week the Spanish cycling federation, RFEC, announced that it would not renew their contract with National coach Javier Mínguez, after the Spaniard complained in the media about his low salary. According to Spanish sports-paper, Marca, there are a few candidates looking to fill his shoes, one of them is three time World champion; Óscar Freire, winner in Verona (1999), Lisbon (2001) and again Verona (2004). In addition, Freire won Milan-San Remo three times, and in 2008 took the green points jersey in the Tour de France, but 42-year-old Spaniard has one disadvantage: he has no experience as a team coach or manager. Rumor has it that the Spanish federation is more inclined towards another candidate; Pascual Momparler. Momparler maybe less well known, but has more experience as a coach. He is currently the national coach of the Under 23 riders. Cerrón, the RFEC President, told Marca that Momparler is the main candidate, in recent years he has nurtured Marc Soler and Iván García Cortina. 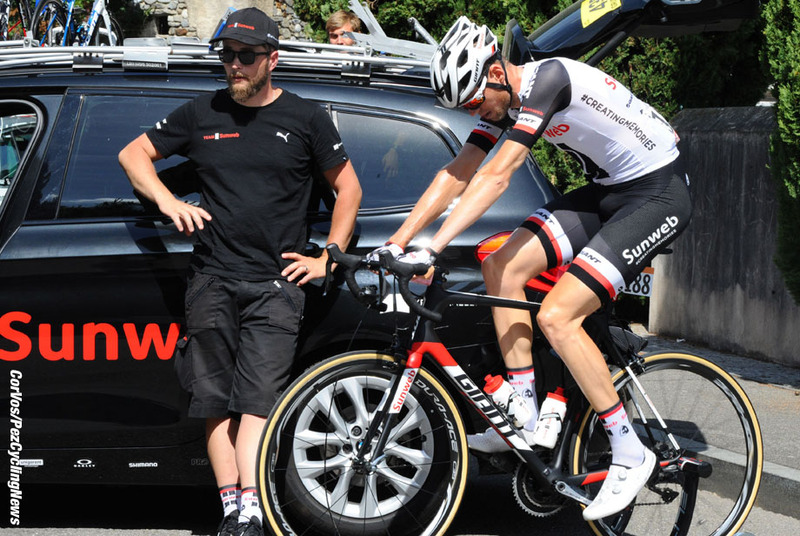 Originating from this approach, innovations like protective shorts have been created using Dyneema® – the world’s strongest fiber™ alongside Fruitflow®, an innovative nutritional ingredient, which was introduced to Team Sunweb during this year’s Tour de France. The addition of Fruitflow® to the riders’ diet helps to reduce stress factors in the blood caused by high intensity efforts, improving blood flow and thus recovery. A completely natural product, it is based on anti-platelet compounds from tomatoes. 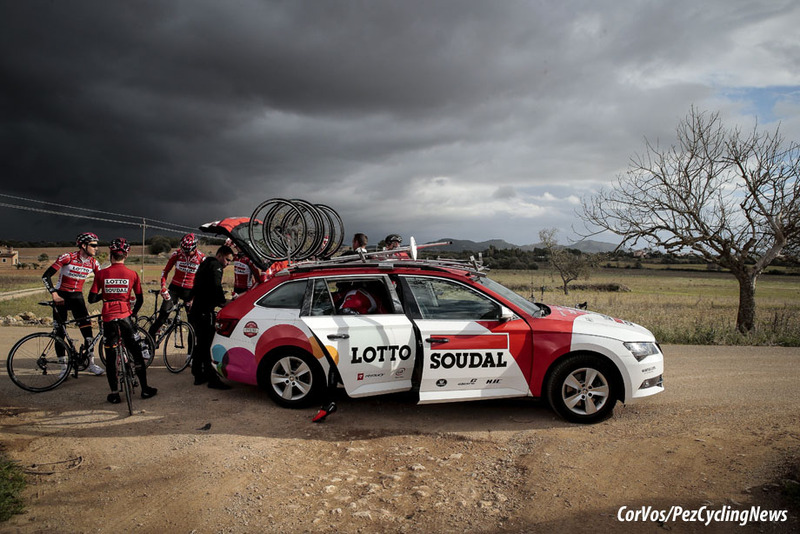 After a rest period of three to five weeks, the Lotto Soudal riders have begun their build up to the next season. Wim Van Hoolst, coach at Energy Lab, gives more details. 3 full days in Asiago at the Hotel Paradiso to officially kick off the team's 2019 season. Athletic tests, osteopathy visits, testing of technical materials with partners Northwave and Selle Italia and the valuable support of sports psychology applied by Nova Mentis. A convivial evening animated the training camp with the presence of many sponsors, journalists and local authorities. Great enthusiasm for the 2019 season. 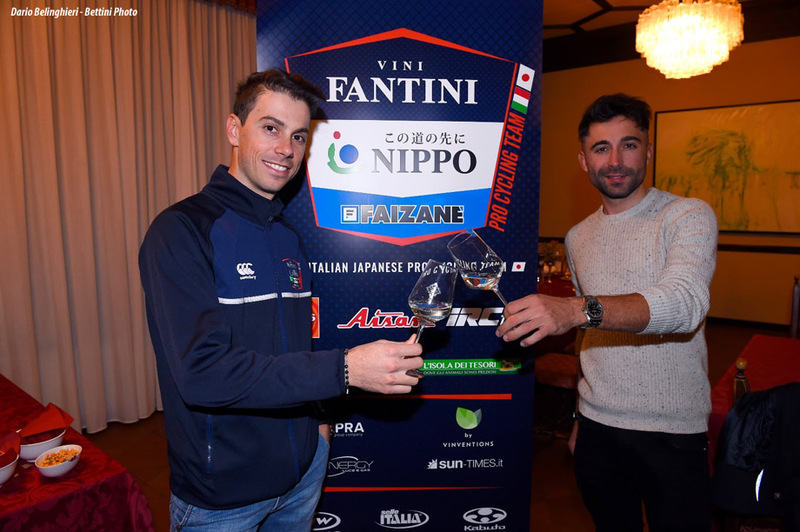 Smiles, determination and enthusiasm characterized the first training camp of the 2019 season of the NIPPO Vini Fantini Faizanè. Enthusiasm and confidence towards a season that the team faces with a trident of unprecedented quality composed by Moreno Moser, Marco Canola and Juan Josè Lobato, supported by an experienced rider like Ivan Santaromita and a lot of promising young riders. Second year as team sponsors, but first time as (third) title sponsor of a cycling team. And the first training camp of the new season is a natural start from the Zanè company headquarters. A welcome cocktail all together to kicked off the new season, between dreams and ambitions, with great enthusiasm and desire for cycling expressed by Martino and Maurizio Dal Santo, managers of the company. The 3 days of Asiago have been very intense and full of work. To host all the activities of the #OrangeBlue has been the Hotel Paradiso of Asiago. 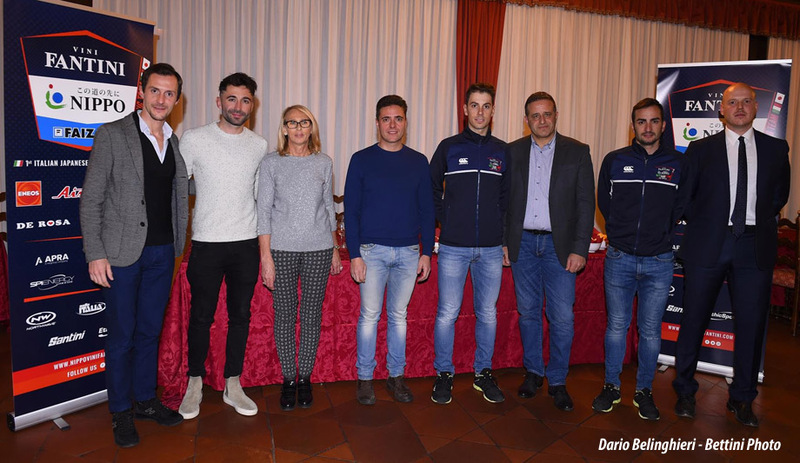 A great convivial moment, with the presence of many sponsors was held on Wednesday 21 with the Sport Assessor of Asiago Franco Sella and the Budget Councilor Egle Dalle Ave to do the honors, together with Andrea Rigoni, owner of the structure. The activities of the three days have seen the athletes confront themselves with Sports Directors and athletic trainers on their race calendar, then conducting osteopathic visits and tests of technical materials with the valuable advice of the experts of Northwave and Selle Italia for choosing the best solutions of their brands. Athletic tests on bikes have allowed us to check the departure data to better set up the winter preparation. Not only attention to the physical, but also to the mental condition with the support of the sports psychologist Gabriele Ciccarese of the Nova Mentis center, in order to help the athletes in the management of stress and anxiety in both race and "after-race" situations to facilitate psychophysical recovery. The training camp finished giving to everybody great energy and enthusiasm, with the next appointment already set, from 12 to 16 December in La Spezia, close to the heart of the managerial and organizational headquarters of the team. After three years linked to the sports activities of the Fundación Alberto Contador, the American firm Polartec has decided to end the sponsorship of the junior, U23 and continental teams, of which this season has been the main sponsor together with the Italian company of the food sector, Kometa. Polartec, a world-leading brand in the manufacture of technical clothes, landed at the Madrid institution for the 2016 season, becoming the main sponsor of the sports structures in the following campaign and being a fundamental part in the creation of the continental team that this year has debuted on the roads with good sports results and the promotion of a rider like Matteo Moschetti to the WorldTour category to the Trek-Segafredo team. The Polartec-Kometa team has been a great test bed for some of the technological innovations of the Massachusetts firm, which has gained substantial visibility and autonomy in the sector, as could be seen in the past Eurobike, and during this intense competitive season has been able to develop improvements in some of its families of patented fabrics such as Alpha, Power Dry and Power Grid. Riders and staff have been able to enjoy the benefits of their qualities, also contributing their point of view on the performance of the garments in the most diverse weather conditions. "We are deeply grateful to Polartec for their confidence in the project over the years. The opportunity to work with Gary Smith and all his people has been wonderful. What started out as a few years ago in Bormio, a 'it would be nice if someday we could' ended up becoming a reality. His belief in our project has been fundamental in its consolidation and growth. For us it has been very important to have the opportunity to work with such a leading brand worldwide. It has made our work much easier. And I am sure that in the future our paths will cross again", explained Francisco Javier Contador, manager of the Foundation. As Team Sunweb’s road captain Roy Curvers (NED) extends his contract for an additional year, Team Sunweb’s rosters for all three programs are now complete for the 2019 season. Below, the men’s, women’s and development programs are confirmed. Asbjørn Kragh Andersen (DEN), Søren Kragh Andersen (DEN), Nikias Arndt (GER), Jan Bakelants (BEL), Cees Bol (NED), Roy Curvers (NED), Tom Dumoulin (NED), Johannes Fröhlinger (GER), Chad Haga (USA), Chris Hamilton (AUS), Jai Hindley (AUS), Marc Hirschi (SWI), Lennard Kämna (GER), Max Kanter (GER), Wilco Kelderman (NED), Michael Matthews (AUS), Joris Nieuwenhuis (NED), Sam Oomen (NED), Casper Pedersen (DEN), Robert Power (AUS), Nicolas Roche (IRE), Michael Storer (AUS), Martijn Tusveld (NED), Louis Vervaeke (BEL), Max Walscheid (GER). Susanne Andersen (NOR), Lucinda Brand (NED), Janneke Ensing (NED), Pfeiffer Georgi (GBR), Leah Kirchmann (CAN), Juliette Labous (FRA), Liane Lippert (GER), Floortje Mackaij (NED), Pernille Mathiesen (DEN), Coryn Rivera (USA), Julia Soek (NED). Nils Eekhoff (NED), Felix Gall (AUT), Leon Heinschke (GER), Ben Katerberg (CAN), Edo Maas (NED), Niklas Märkl (GER), Marius Mayrhofer (GER), Jarno Mobach (NED), Tim Naberman (NED), Martin Salmon (GER), Nils Sinschek (NED), Florian Stork (GER), Xandres Vervloesem (BEL), Ludvig Anton Wacker (DEN). Presented in Milan the 2019 edition of the Euroregional race. Five spectacular stages from Kufstein to Bolzano/Bozen. Restarting after a major success. The 2018 Tour of the Alps, concluded in Innsbruck six months ago with Frenchman Thibaut Pinot on the highest step of the podium has further established the race organized by GS Alto Garda (2.HC UCI category) among the standout fixtures of the international cycling calendar. A success in many different ways: participation, with a number of star contenders putting on a show in Tyrol, Südtirol and Trentino, audience (both on the roads and in front of a screen) and among the stakeholders. Now, it’s time for the organizers to take in the most demanding of challenges: repeating and raising the bar. 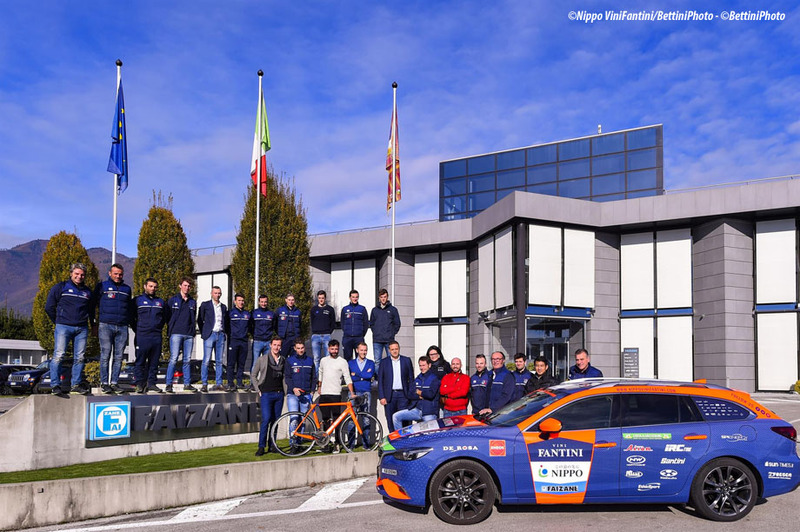 The first pedal stroke of the 2019 Tour of the Alps has been taken on Wednesday, November 21st in Milan, at the Sala Buzzati, institutional venue of RCS and La Gazzetta dello Sport: the presentation reaffirmed the ambitions of the Euro-regional stage race that took the baton from Giro del Trentino in 2017, whose 43rd edition will be held from April 22nd to 26th, 2019. The upcoming Tour of the Alps will have another legacy to pick up, the one of the spectacular World Championships in Innsbruck, that took place in Tyrol in September. The race that crosses all the three regions in five days, enhancing their excellences and peculiarity, but also - and mostly - the common values that blend them together: sustainable mobility, top-end hospitality, the love for sports and outdoor life, the respect for the nature while enjoying the experience of “living” the Alps. Three areas also united by history, in a special year for the Euroregion: in 2019 it will be 500 years since the death of Emperor Maximilian I of Hagsburgs, who in his era was a promoter of unity between Countries and cultures, and therefore considered “the first European” by historians. A very actual theme, perfectly matching with the principles and shared values that characterize the Tour of the Alps. 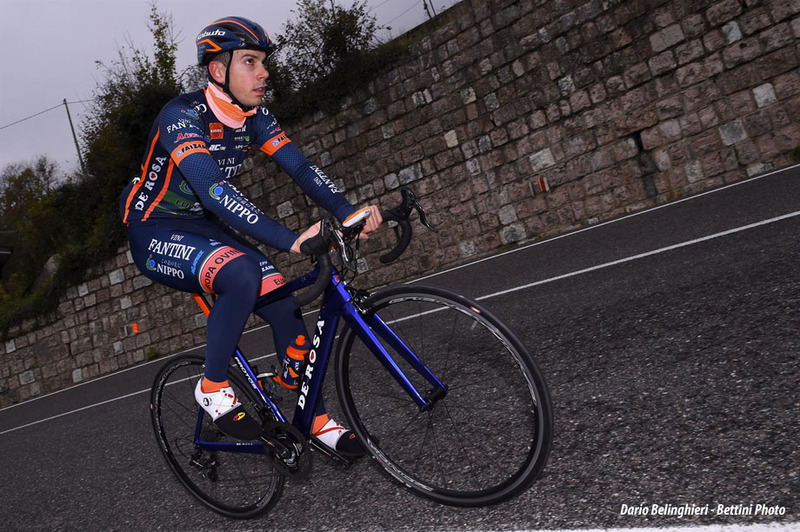 A race that doesn’t stand with merely being a key dress rehearsal ahead of the Giro d’Italia, but looks to affirm its vision on how cycling races should be from a technical point of view. The climbs of course - many and tough, but avoiding extreme altitudes - and fairly reduced stage distances: that’s the policy chose and implemented by GS Alto Garda in the first two edition of the Tour of the Alps, eloquently rewarded by the feedbacks of the riders and teams, as well as from the audience from over 100 Countries all over the World. 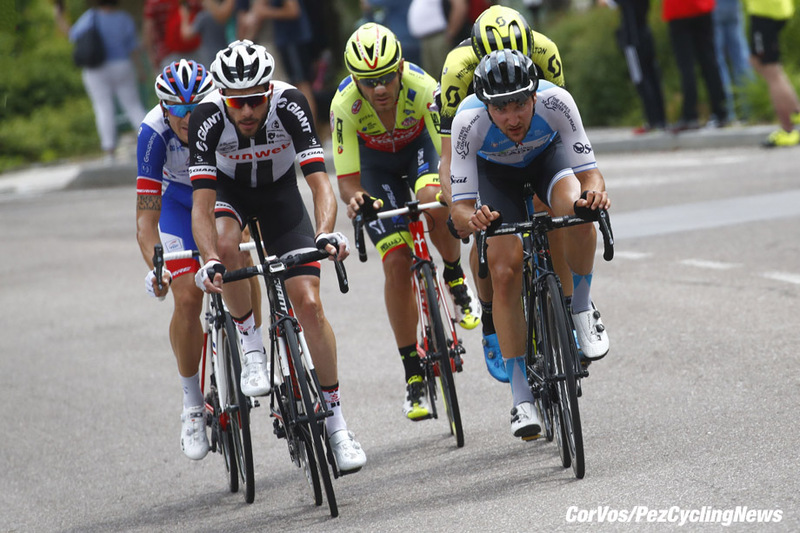 After the 2018 grand finale in Innsbruck, prestigious prelude to the Austrian World Championships, in 2019 Tyrol will give the start to the Tour of the Alps. After staging the start of the Men’s Elite World Championship won by Alejandro Valverde, Kufstein is now ready to inaugurate the year 3 of the Euroregional project, like it did in 2017. On that April 17th 2017, the finish in Innsbruck/Hungerburg after 142,3 km was conquered by the unforgettable Michele Scarponi, to whom the “Team Up” award will be dedicated again this year. After the eve of Sunday, April 21st, Kufstein will be both start and finish of Tour of the Alps’ stage 1, on Monday, April 22nd: 144 km without extensively long climbs, but featuring a lumpy profile from start to finish, leaving it open to a spectacular and unpredictable finale. The second day, Tuesday, April 23rd, will feature the longest and, arguably, the hardest stage of the 2019 TotA. The start will be given in Tyrol, from Reith im Alpbachtal, to finish in Schenna/Scena, in Südtirol, after 179 km and over 3.000 meters of elevation gain. The biggest obstacle on the riders’ way will be the Passo Giovo ascent (2094 mt, 15,1 km, 7,5% average gradient), but watch out also for the final 5 km, all on the uphill. Day 3, third region. 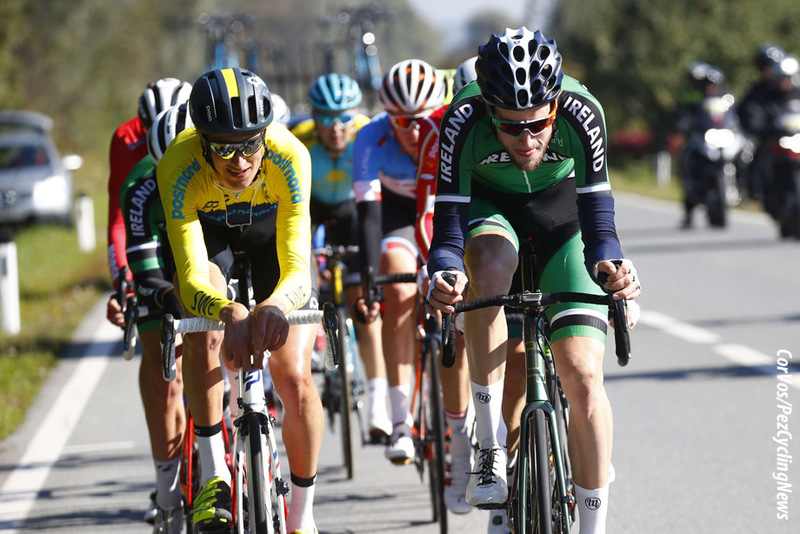 On Wednesday, April 24th, the race will resume from Südtirol for the shorter stage of the edition, 106 km with start from Salurn/Salorno and finish in Baselga di Pinè, Trentino. It will be an intense effort, with practically no flat sections: the decisive showdown is expected to happen on the Montagnaga climb, but the strongest might come to the fore already on the Lago Santa Colomba ascent, peaking at 26 km to go. The fourth stage, on Thursday, April 25th, will be run entirely in Trentino, 134 km from Baselga di Pinè to Cles, the main town of the Valle di Non where cycling has deep roots, from Trofeo Melinda to big names in cycling such as Maurizio Fondriest, Gianni Moscon and Letizia Paternoster. Forcella di Brez and Passo Predaia are expected to make a selection, but with all chances it will be the “Puntara” ascent, with 5 km to go, to have the final say on the stage. 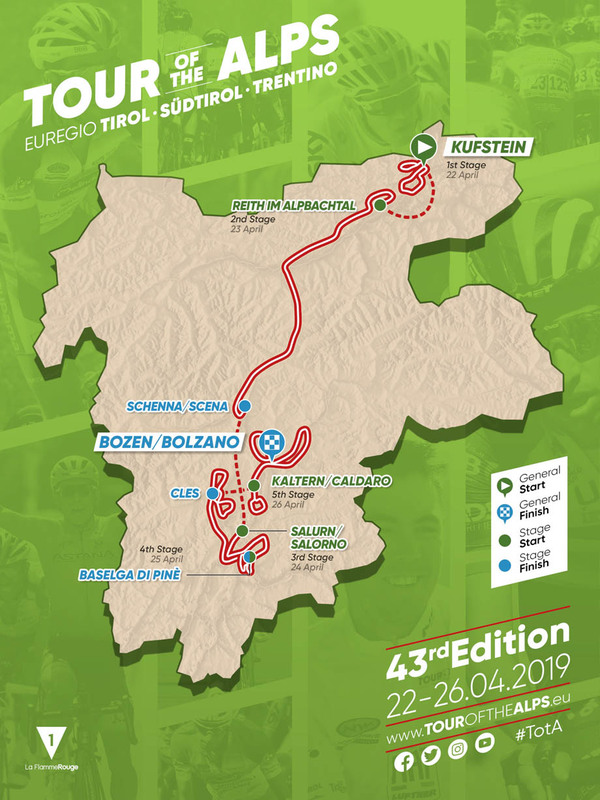 It will be pure Südtirol for the fifth and final stage of 2019 TotA: from Kaltern/Caldaro to Bozen/Bolzano through 148 km. Those hoping to win the Tour of the Alps will definitely have to earn such honor, facing the Klobenstein/Collalbo climb before the Jenesien/San Genesio ascent, final categorized climb of the race, ending with 25 km to go. From there, it will be only descent and flat all the way to downtown Bozen/Bolzano. Here is the program of the 2019 Tour of the Alps: 711 km to be ridden over 5 stages, with 10 categorized climbs and an overall elevation gain of 13.630 meters.